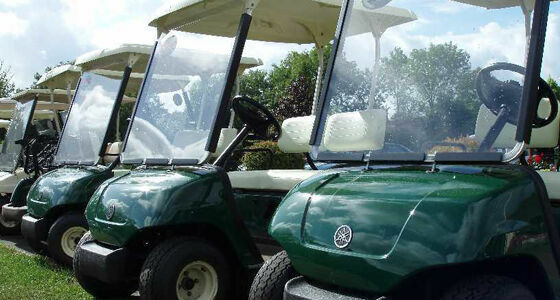 At Bramshaw we have 8 buggies, 6 Powakaddy electric trolleys and a large number of pull-trolleys for hire. 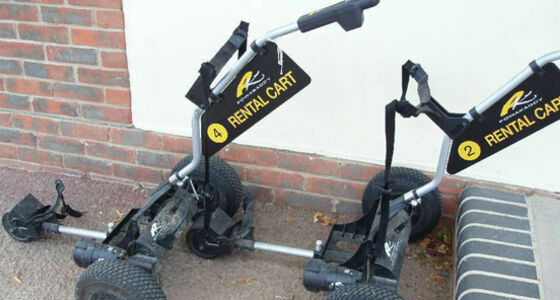 Our electric trolleys are fitted with air tyres to help give more traction on the course. 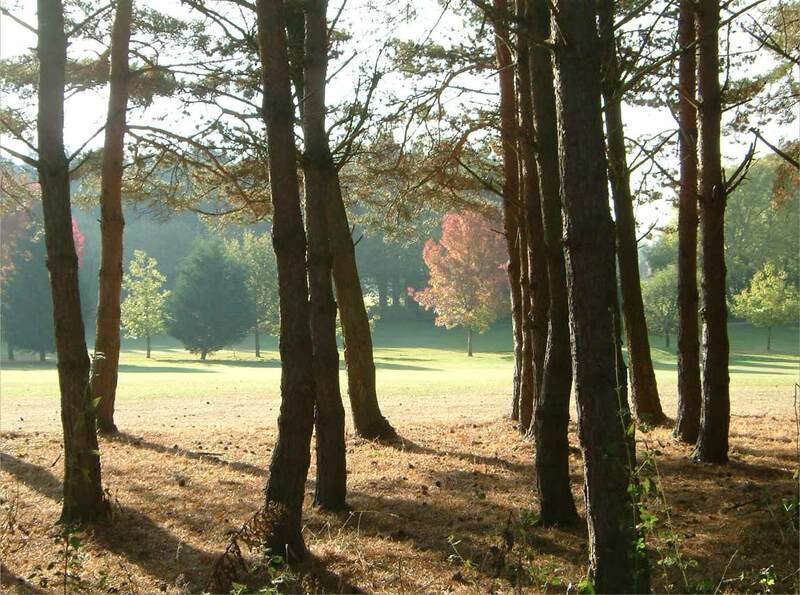 It is advised that during the summer pre booking of Buggies, electric trolleys and clubs is done in advance to avoid disappointment.